Terry, Will. Good. 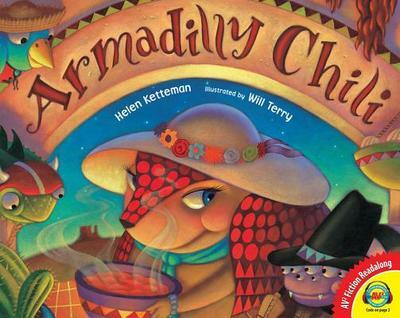 Armadilly Chili (Albert Whitman Prairie Books (Paperback)) by Helen Ketteman, 2004-01-01. Trade paperback (US). Picture book. Sewn binding. Contains: Illustrations, color. Albert Whitman Prairie Books (Paperback). Intended for a juvenile audience. Terry, Will. New. Trade paperback (US). Picture book. Sewn binding. Contains: Illustrations, color. Albert Whitman Prairie Books (Paperback). Intended for a juvenile audience. Good. 0807504572 Ships from Tennessee, usually the same or next day.